Over the weekend, we found an interesting article about Easter and its connection to (you guessed it!) water, which led us to even more Easter traditions involving water. 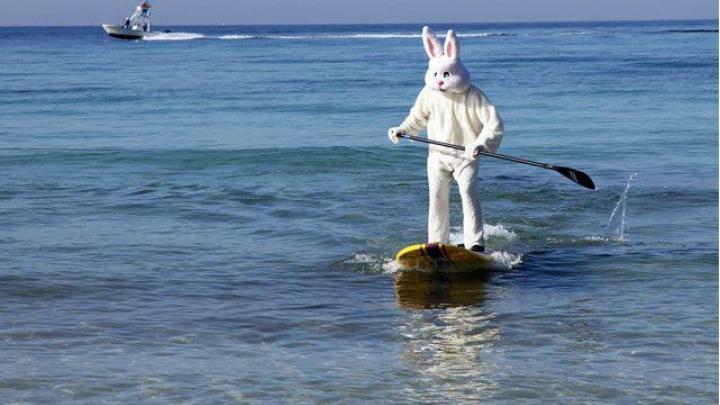 This image from Swansea U.K. isn’t exactly how we’d pictured Easter traditions involving water. The story cites the director of the Acadian Archives at the University of Maine at Fort Kent, who says “Because of Jesus’ Resurrection, this is considered to be holy water with the power to cure.” The water is then stored and brought out to cure or ward off any number of ailments. The water was also used to protect against “skin and eye ailments … One had to scoop the water from a pure, flowing brook in the earliest Easter Sunday hours before sunrise … Whoever washed himself on Easter Day with such water remained protected from skin and eye ailments.” It was also given to farm animals to keep them healthy. The many different ways that water is associated with holiday traditions around the world underscores the universal importance water plays in our lives. 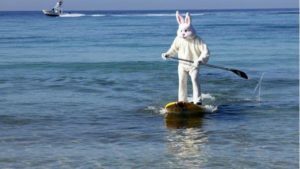 All things considered, though, it’s probably safer to stick with hiding the Easter eggs than the last two ideas — dousing someone with a bucket of water is a sure way to ensure the Easter Bunny skips your house next year!